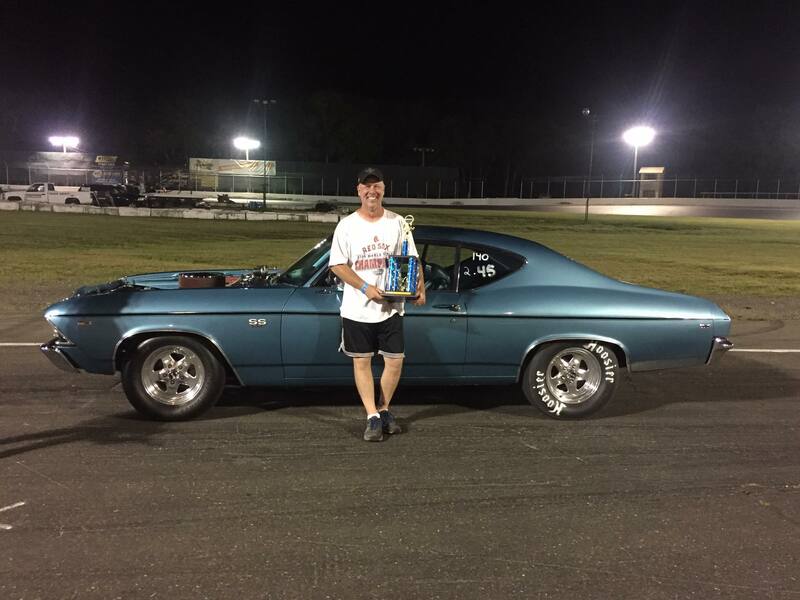 Gales Ferry, CT (August 11, 2017) – Fast Lane Fridays Grudge Fest would see Lynn Katkowski became a first time winner in 2017 out lasting the competition in the Outlaw Class. Adam Lewis in the Street Class and Jon Tisdale in the Bike Class would continue to pad their winning streak and points leads as the season heads towards the mid-season point. The Outlaw Class Finals would pair last week’s winner and current point leader Warren Wright up against Lynn Katkowski who would advance beyond round one for the first time in 2017. A red light by Wright would have the victory to Katkowski despite her being consistent on her reaction times all night. Adam Lewis would make it four straight victories in the Street Class despite facing different competitors and running different lanes in the Final Round each week. This week Trevor Root would face Lewis in the finals. A near perfect run would allow Lewis to win and pad his points lead that now stands 55 points ahead of second place Heidi Bradham who was missing in action tonight. The largest field of the evening was the Bike Class that would go on to run a total of 5 rounds in eliminations. When all was done it was Jon Tisdale earning his third consecutive win in 2017. Tisdale would be paired up against 2014 Bike Class Champion James Tedford who was making his second Final Round appearance of 2017. The battle would be settled at the line as both racers would have near perfect runs. The margin of victory was at .022 seconds or about a foot in distance. The final event of the night was the Grudge Fest which allowed racers to pair up against whoever they wanted to show their dominance and most importantly bragging rights. No points were awarded for any grudge matches. For complete eliminator round results and 2017 point standings please visit NEStreetOutlaws.com. 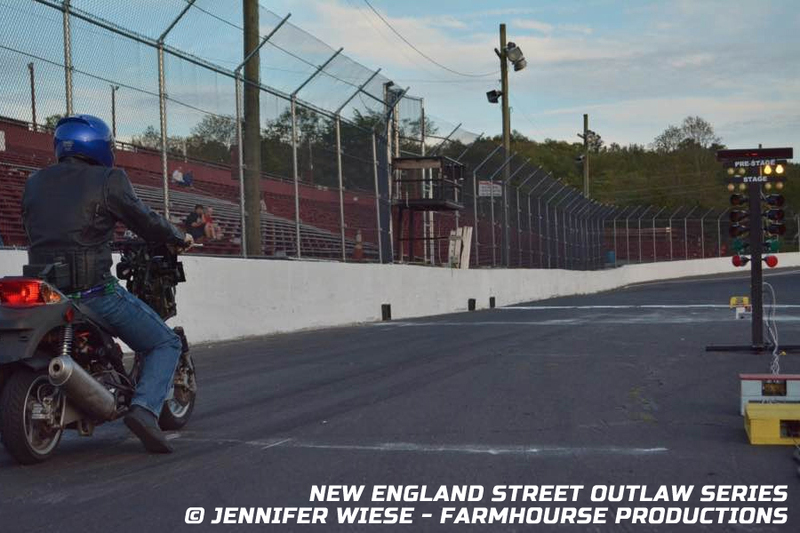 Next on the schedule will be Street Night as Fast Lane Fridays, Friday August 18th that will feature Outlaw, Street and Bike Classes PLUS second Street Class Eliminator. Both Street Class Eliminators will count for regular series points. Pits, Car Cruise Show and Grandstands open at 6pm, Test & Tune will start at 6:30 with opening ceremonies and eliminators to follow.